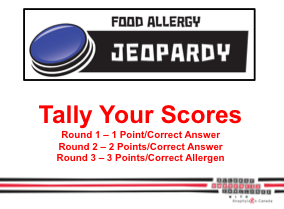 Tell their friends about their new "allergy"
Contestants will test their knowledge of food allergies and anaphylaxis through three entertaining rounds of trivia. 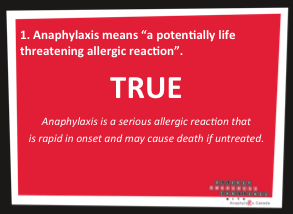 A mixture of true and false, multiple choice and open response questions will keep the audience engaged and entertained while learning about anaphylaxis and what they can do to help keep an allergy safe school. 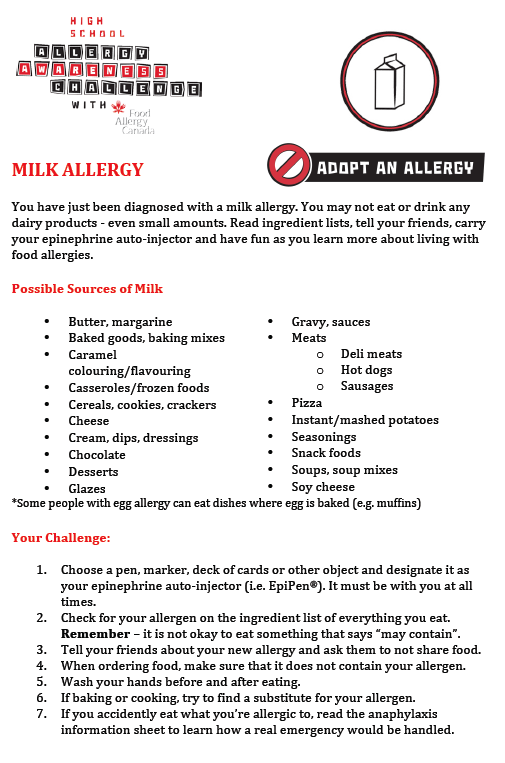 Challenging trivia questions about allergies that will create a fun competition! 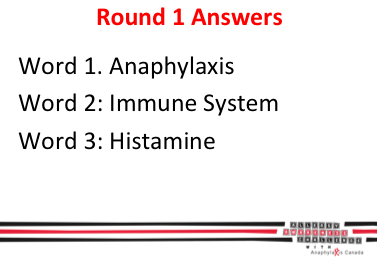 Participants will be challenged to spell this word and many more during a five round spelling bee that features allergy-themed words that help them learn more about severe allergies through definitions and how these terms affect people with allergies in the real world. 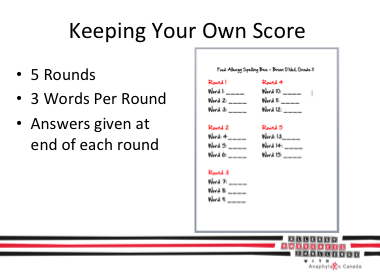 The game is structured over five rounds with words increasing in difficulty. 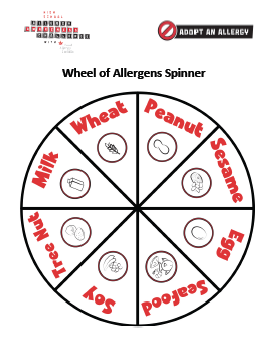 Challenge your spelling skills in a good old fashioned spelling bee!